Madigan loves to pay attention to the life she has and the environment she lives in . After living a dozen years on a little green river she was totally seduced by the mystery and the power of water. She painted the river using mixed media on canvas and introduced silver leaf to help express the deep reflective surfaces and the sense of depth that water possesses.... She adds & subtracts many layers to create greater depth & trace of life. She is very process driven and although she has an initial idea when starting a work, the painting takes its own course once the materials take on a life of their own. 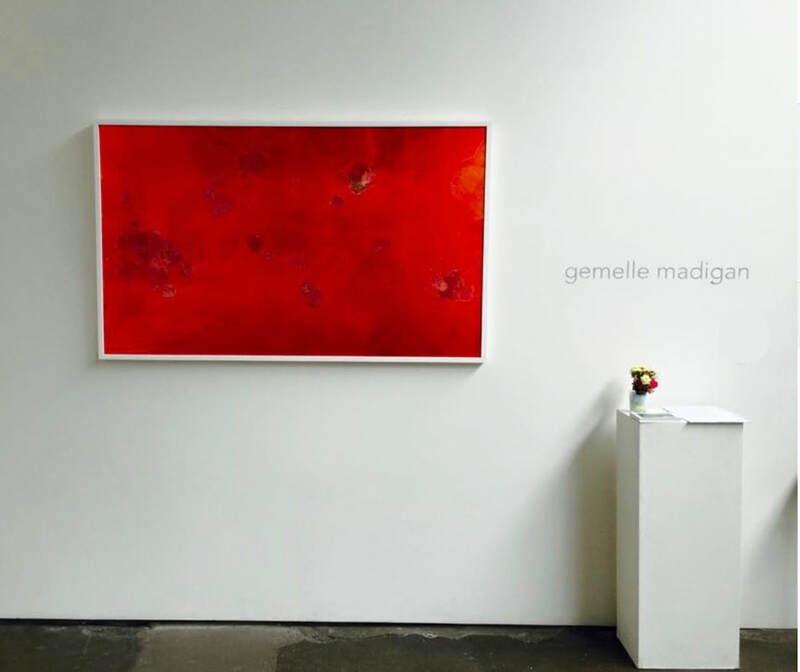 From canvas, madigan jumped onto glass and plexiglass as she was looking for other ways to capture the depth of reflection in her work that water possess. She started working on the reverse side of the glass, again adding and subtracting layers . Deeply aware of the ocean’s vulnerability as climate change becomes more evident in our daily lives and aware that to get this message of disaster out there it is best done by creating beauty to attract conversation and then action. Her work is strong in colour, preferring a monochromatic palette to achieve a greater sense of mood, of feeling an emotional response to what is happening around her. She noticed that when one is under water the world quietens around us. So she wishes to also express this silence, which leads to us being one with life. She started to explore ways of seeing without the usual background noise . The monochromatic colours and the use of negative space capture quiet moments in time. Her latest works on canvas continue this theme of silence that one needs to be in to be fully alive. She eliminates all the chaos and noise that exists in her life by creating little pieces of silence which are simple shapes inside the picture frame. These shapes may also be surrounded by an aura- type shape.